Obviously, safety is at the forefront of your concerns when it comes to transporting students. You want to get them from home to school (and back) as efficiently and safely as possible. And we all know how that can come with challenges since kids will often be kids. But when it comes to students with special needs, they require a bit of extra care and attention. Let’s review some basics of transporting them, in particular some topics to discuss beforehand, according to the National Highway Transportation and Safety Administration (NHTSA). It’s important when transporting students with special needs that you clarify expectations. Will he/she have a personal attendant riding with him/her? If so, what are the attendant’s responsibilities versus the school bus driver's responsibilities? Who is the contact person should there be an issue with the student (helpers, parents, principal, etc)? You want to make sure you’re all on the same page; thus, discussing them at the beginning of the year can help clarify expectations. The school bus driver should ask questions regarding the disabilities - including the types of behavior the student might display. If the child is prone to causing disruptive outbursts, the bus driver needs to be aware so that he/she can focus while driving. The bus driver also might want to address these concerns with the other students on the bus. Special needs students often require additional equipment (i.e. wheelchairs, strollers, seeing eye dogs, or car seats). The bus driver will need to understand the proper way to store the equipment and how to handle guide dogs, if applicable. Where will the additional items be during transportation? Will the bus driver need extra time to load/unload the child if he/she is in a wheelchair? 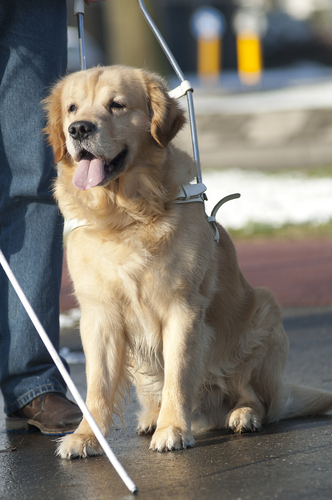 Is there a special designated place for seeing eye dogs on the bus? You will need to discuss the types of potential emergencies and how to handle them should they occur. Go over the emergency evacuation plan with everyone involved. Again, being thorough will help make sure everyone is on the same page. Practice loading and unloading, including what to do and who should do it. Describe how to correctly operate the wheelchair lift, if it will be used. 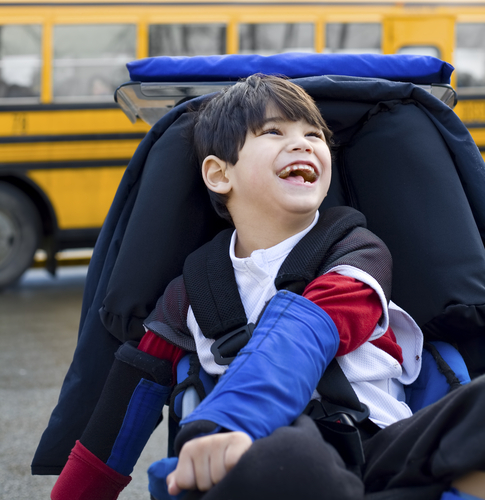 Point out how to appropriately secure both the wheelchair and the student in the school bus. If a seating plan is implemented, you will want to plan where the student with special needs will sit strategically. It’s all about good communication. Don’t be afraid to ask questions if you have them. By addressing issues before they come up, you can hopefully be prepared and avoid disagreements down the road. Although it may take some extra time and effort, the reward of safety for your students with special needs will make it well worth it.